Ahmad’s interest in human behavior began at a very young age. His wide variety of interests and involvement in sports and other extracurricular activities put him in touch with people from many walks of life. These experiences enabled him to see the world from many different perspectives and through the eyes of many different cultures. Ahmad grew up in Amman, Jordan. In 1993, Ahmad volunteered as a summer intern at a computer store where he learned the ins and out of both software and hardware. He also learned Logo and Basic for Mac and continued to learn design software and technologies as they became available. In the summer of 1994, when he was 12, Ahmad and a few childhood friends made an agreement with the owner of a video rental store: if they cleaned out the storage room, they could fill the empty space with their new business... a computer repair store. The kids marketed their computer store in all the local businesses and started fixing the neighborhood’s computers for a flat fee, regardless of the problem. In 1995, Ahmad volunteered for the Meridian Hotel where he created a database system. They used this system to keep track of all the kitchen inventory. Ahmad built his first website in 1996 which was presented on behalf of his school in California. That same year, he discovered his love of basketball. He started playing for his high school team and was then invited onto the Al Riyadi (formerly known as Al Jazeera) professional team, the team representing the City of Amman, and the Junior National Jordanian team. These competitive environments taught him the importance of teamwork as well as leadership. In 1999, Ahmad moved to Utah to study management information systems at Brigham Young University and worked for the Center for Instructional Design as a developer for BYU's Online and Independent Study Courses. With the help and mentorship of a Communications and Advertising professor, he soon realized his true passion lay in marketing, specifically understanding the psychology of consumer behavior. In 2000, Ahmad changed his major and was admitted to BYU’s Advertising and Marketing program. He continued his work as a developer and project manager and oversaw the building of courses while also adding graphic design, video, and programming to his responsibilities. Ahmad continued his education; He received his MBA from Utah State University, a certificate of Web and Print Design from the University of Utah, and completed a certificate in Adult Education at UC Berkeley. He is currently completing a Certificate in Marketing Management and pursuing his masters in management at Harvard University. Since graduation, Ahmad has worked for several companies where he was able to work with highly regarded individuals and revolutionary thinkers. At Marriott and Enterprise Rent-a-Car, he learned to apply his foundational business acumen, the importance of customer satisfaction, and servant leadership. He was one of the first hires at RemedyMD and learned entrepreneurial skills and thought processes. His experience at Digi International taught him how to manage large caliber accounts like Halliburton and NASA as well as extremely long sales cycles. Most recently he acted as the Director of International Sales and Marketing for Nutraceutical Corporation where he applied all his previous knowledge but found out how differently business was conducted in various parts of the world. 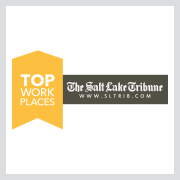 Ahmad teaches communications, marketing, business, and graphic design courses at Salt Lake Community College and Brigham Young University. 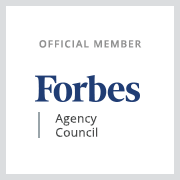 He is a member of the AAF and is on the Forbes Agency Council. He also serves on the board of the Lupus Foundation of America, Utah Chapter. Ahmad brings his experience to the day to day operations Twistlab Marketing by being directly involved with the company’s projects. His mastery of the technology along with his understanding of consumer behavior have allowed him to develop lasting relationships. He is teachable and straightforward with a strong desire to provide a quality product for a fair price. Gary Kennedy, CEO of RemedyMD and former president of Oracle USA wrote: “Ahmad has a unique combination of technical, sales, and marketing skills. Very few people are able to bring together their skills in a way that sees a problem from all three perspectives as Ahmad does." 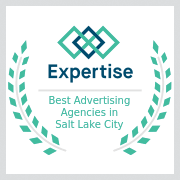 Utah marketing agencies need a mix of business knowledge, entrepreneurial thinking, integrity, and quality in order to best serve their customers well. Twistlab Marketing can confidently say that it portrays these traits in its daily business and separates itself from other Utah marketing agencies by focusing first on the success of its customers first. Ahmad is a critical part of this strategy, and Twistlab Marketing was founded on his vision.